My son, Joshua, came to me last night and said something striking. He had constructed a Tinker Toy airplane. He came to me and said, "I made this for you daddy." I thought, wow...that was selfless. He wanted to please me and thought of me when he made it. It made me perk up and want to pay attention. God must be the same way when we do something solely for Him. God, help me to be selfless and think of You (instead of me) with what I do. I want You to be pleased with what I bring You. How does a church create or revamp its website? Andrew Norton, Business Manager at Grace Church (Lititz, PA) where I had been for 10 years previously, had asked me how Topeka Bible Church is revamping its website. While there are my avenues to take, our church decided to go with a new upstart that seems to have a slick solution designed just for churches. So here is a quick 5-minute crash screencast video in how City Gates is assisting our church by hosting and giving us a great user interface to manage our website. They've taken the technical part of creating a website out of the equation and giving more access to the common man - which should produce easier updating to more users, but maintaining a pleasant uniform look, feel, and navigation. Head over to City Gates to see how they aren't one of those cookie-cutter web solutions. It's designed and built just for churches by real people. TBC's site should launch soon. Really? Is this gonna fly? I give it an A for innovation. Man, once again, has recreated what God has perfected. Check out the flying insects - but these are man-made robots. Amazing. But not amazing as God's design. He designed it first. Copycat. While senior pastor Jim Congdon led our church in closing prayer this past weekend, I walked onto the stage from the back. I was going to lead the last some from the piano. I walked over to the piano and TRIPPED on an extension cord. It wasn't a little trip. It was an ALL OUT FALL toward the piano. I put my hands out to catch myself and my FULL WEIGHT went onto the piano keys. It wasn't just a finger or two...it was my FULL FOREARM. Talk about a 20th century tone cluster - Charles Ives would have been proud. It was loud. It was distracting. And it was embarrassing. Jim looked over at me and simply said, "Thank you." I want to take this time to publicly thank Chris Davidson for shaking his entire pew with his laughter while I led the last song. Topeka Bible Church's website will get a facelift soon. Special thanks to Bev Keys and Melody Congdon for spearheading this one. The guys at Citygates did a great job - providing blogs, photo uploads, friendly user interface, and podcast uploading. Many churches who struggle to maintain their own website will benefit from Citygates' work. Thanks guys! Ever Wonder What Happens to Communion Cups? Ever wonder what happens to those communion cups after they are used. You might be surprised how much fun they can cause. Last week I went into a rehearsal at the church and saw what these guys were up to with the cup. I've not seen this before, but made me wonder if I could do without my laptop, smartphone, and the like. Check out this other light show at a concert hall in France. Wow! A shout out to Matt McElravy and the worship team at Grace Church (Lititz, PA). Want to hear a preview of their new worhip album? Click here. Great job guys. Tight sound on "No Life Like Yours" - and love the drum loop. 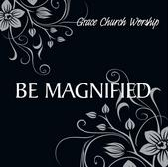 May God be magnified! Forbes Field (Topeka, KS) is hosting a "clergy day" with a mid-air refueler flight on July 16. I'm slated to go. Get to watch a mid-air refueling with a ride on the beast. Can't wait. Too bad I missed this flight that the staff at Grace Church (Lititz, PA) took. My wife is listening to her rehearsal CD because she's slated to play piano for Country Music weekend at church. She just dumped the little CD player/radio she was using. She muttered, "All for country music Sunday." The most difficult position to play in an orchestra is second fiddle. The position of second violinist is not as glamorous as that of first violinist. But somehow, everyone expects the position to pull off everything the first chair does, support first chair with complete loyalty, but rarely receive the public credit. A principle violinist even gets applauded before they accomplish a job when they take a stage. It's probably their past performances and their position that gains the applause. Usually, the audience doesn't even know a second chair's name. Second chair often gets more darts from the rest of the orchestra. The rest of the string section usually says, "How do they get to play next to the first violinist, I can play just as good as he can." It's usually obvious that the first chair is first chair for a reason, but speculation comes into play with the ability of second chair players. I prefer second fiddle. Why? In my area of service - senior pastors have the whole ball of wax. I don't have the whole thing to lose sleep over. Sure, I care as much as - but the public doesn't see my name as the first chair leader. Senior pastor lose lots of sleep. Would you? Man times, they are CEO, CFO, spiritual leader, staff conflict managers, office managers, and political end run stoppers. Me - I like second fiddle. When the orchestra doesn't play well - the chief musician with the blame is first violin. For more reading: Timm Boyle recently wrote an article on second chair leadership in church ministry from Willow Creek. The picture above is of Sheryl Staples (read about her). Time Magazine did a great article about how much experience matters in choosing the next leader for the U.S. Bottom line, how much should experience matter? When it comes to musicians, what's more important than experience? In my book, it's their AVAILBILITY, HEART/ATTITUDE, and ABILITY. Sure experience has an impact on each of these - but it's up to the individual musician with what they do with these experiences. What's MOST important about experience is not a question of what experiences you've had but rather what you've learned from them. Will you make yourself more or less available? In what ways? How will your heart attitude and character change as a result of your experiences? Will you raise the bar on your ability because of your experience? 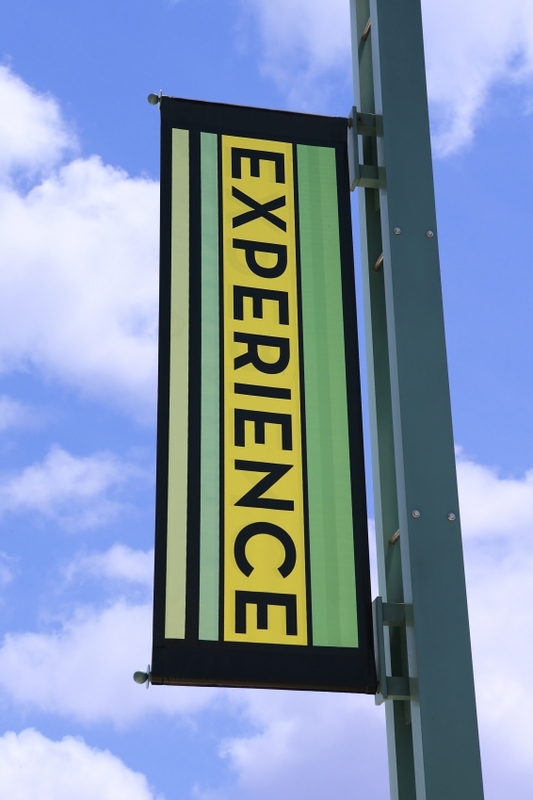 Or will you bank that the experience by itself will improve your ability simply because of an enrichment? I gotta remember that for myself too. My laundry list of musical experiences shouldn't matter more than what I've LEARNED from them. God, tame my tongue when it comes to my musical resume. It doesn't matter to You. It only matters to those around me - and I struggle with it mattering to me. But help me have Your heart. What matters to You is how I learn from past experiences (successes, mistakes, famous groups/people, etc.). God, give me more experiences (yikes) - but give me Your Spirit's guidance in learning from them what I need to. 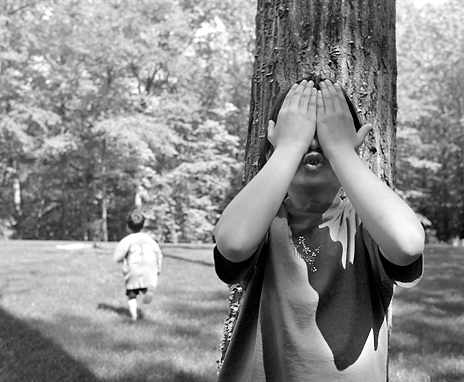 Playing "hide and seek" with my 3 year old son Joshua is a lot of fun - for him. When I enter a room he's hiding in, I'll say out loud, "Hmmmm. Where's Joshua?" He blurts out from underneath what he's hiding and says, "I'm right here dad." Even if I ignore him - he insists that I find him. It's the same way if you want to find God. The Bible says, 'Ask and it will be given to you; seek and you will find; knock and the door will be opened to you.' (Matthew 7:7). God doesn't play hide and seek. He wants people to find Him. He guaruntees that if you seek, you'll find. Knock and the door will be opened. If you are looking for God, simply ask Him to show Himself to you. If you truly want to find Him, He'll blurt out that He's there for you to find.